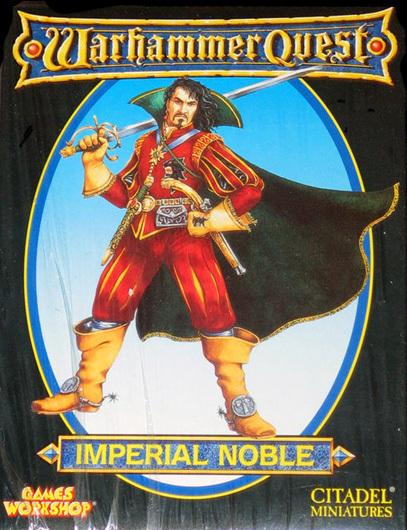 Swordplay and arrogance are second nature to Imperial Nobles. 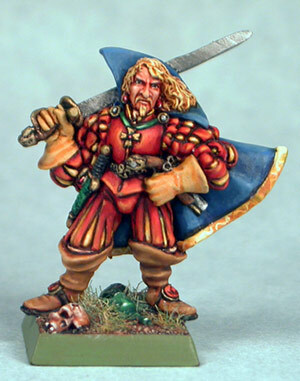 The thrill of adventuring outshines the tedium of life at court, and many nobles set off for the most dangerous areas of the Old World in search of glory and treasure. 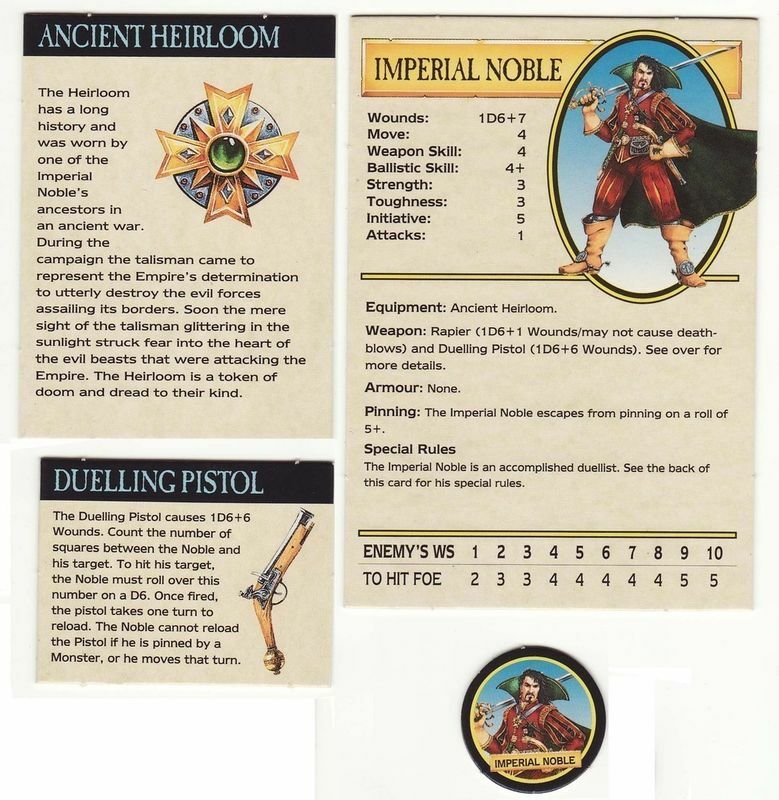 In this pack you will find everything you need to play a Imperial Noble in the Warhammer Quest game, including a rulebook, cards, counters and a specially crafted Imperial Noble Citadel miniature. This is not a complete game. 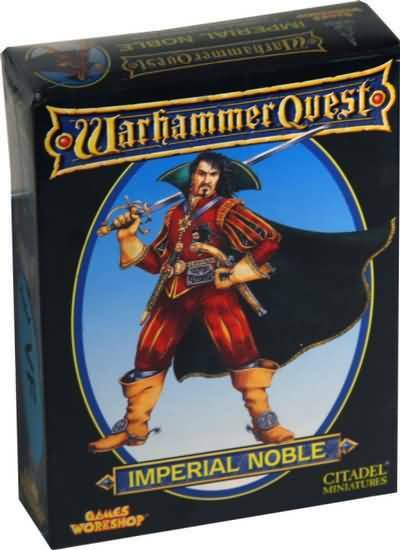 Possession of Warhammer Quest is necessary to use the contents of this box. Submitted by Nefelyr on 11 May, 2016 - 11:27 (2658).